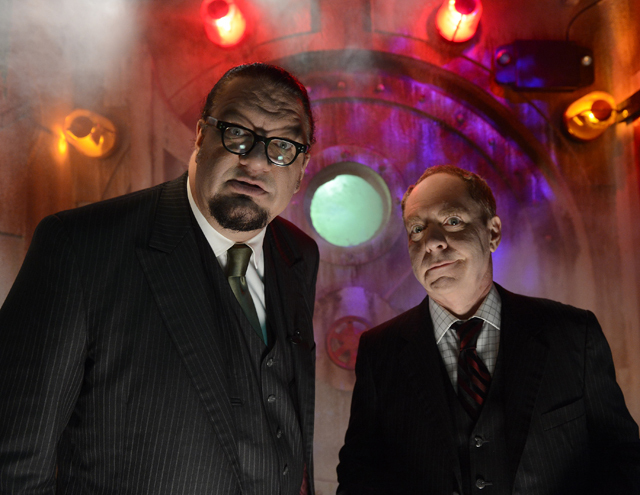 Universal Orlando Resort announced today that infamous Las Vegas magicians Penn & Teller are helping design a new maze for this year's Halloween Horror Nights. Dubbed "Penn & Teller New(kd) Las Vegas," the attraction will take guests through a stereotypical Las Vegas accidentally doused in toxic slime by the titular magicians. Guests must brave the nuclear fallout and "the best of Vegas – showgirls, slot machines, little white wedding chapel, all-you-can-eat buffet, and more." While the post-nuclear theme is not new to Halloween attractions, the Vegas theme does add an interesting twist. Since it's Penn & Teller involved, it also seems that this is the 2012 Horror Nights' comedy maze, horror with an extra helping of dark humor. Thankfully it looks like this is one unique addition not mirrored at the sister event in Hollywood, but it's still the fourth licensed maze announced this year. Unless the pattern changes, Halloween Horror Nights Orlando is going to feature no completely original attractions. I'm sure they'll still create a great event, but it's disheartening to see the end of the truly ambitious, unique ideas the event has attempted in previous years.